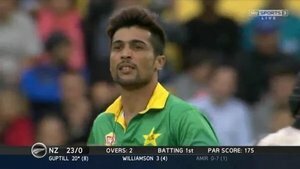 40 runs in 1st three overs. Last 3 balls by Imad: 6 4 4. 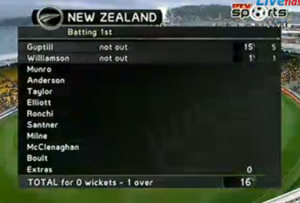 New Zealand are 40-0 after 3 overs. Some big shots from Guptill, 2nd SIX by him! Ye kya ho raha hai? Ye kyun ho raha hai?